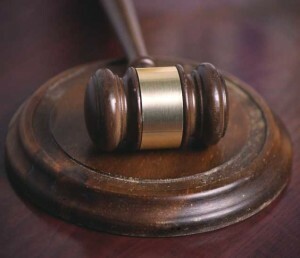 Past brushes with the law don’t necessarily have to cloud a person’s future: La Comunidad Hispana’s (LCH) Legal Assistance Program is offering a free workshop on policies and procedures that will help qualified people expunge minor criminal records, a LCH news release said. The workshop will take place on Thursday, March 6, at 5 p.m. at LCH, 731 W. Cypress St., Kennett Square, and will be presented by LCH Legal Assistance Program attorney John Winicov in collaboration with Legal Aid of Southeastern Pennsylvania. Registration is not required, the release said. All criminal cases remain a matter of public record until a motion for expungement has been filed and granted by an order of court. Under limited circumstances, people may obtain permission to remove criminal records from their files. Reasons for expunging criminal records vary but often include background checks that produce details of criminal cases that might affect future employment opportunities. Participants who attend the March 6 workshop and qualify for expungement will be invited to attend a free working session, to be held at LCH later in March. At that session, attorneys and law students will help participants complete applications to have their records expunged, the release said. La Comunidad Hispana was established in 1973 as a community-based nonprofit organization to empower immigrants and low-income residents in Chester County to stay healthy, build strong families and lead productive, fulfilling lives. For more information, go to www.lacomunidadhispana.org or call 610-444-7550, ext. 242.